A scene from "We Shall Not Be Moved," to be presented in a free broadcast on Sept. 29. Thanks to a successful crowdfunding campaign, Opera Philadelphia is able to present Opera on the Mall this September. A free broadcast of the successful opera "We Shall Not Be Moved" will be screened outside for thousands at Independence Mall on Saturday, Sept. 29. The event is free, but tickets are necessary. On Wednesday, Aug. 29, tickets will be become available at 10 a.m. This year's Opera on the Mall pick pulls from a tragic moment in Philadelphia's past: the 1985 bombing of the black liberation group MOVE in West Philly. "We Shall Not Be Moved" tells a story of five North Philadelphia teens on the run who find refuge in an abandoned house, which they discover was once the headquarters for the MOVE organization. 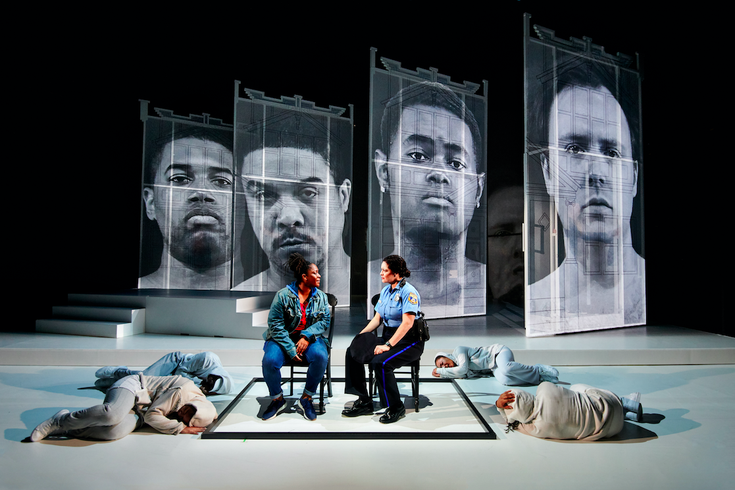 Racism, gun violence, police brutality and poverty are timely issues touched on in the performance, which made its world premiere at the Wilma Theater last year. For the screening, attendees are asked to bring blankets or chairs and pack a picnic, if they choose. Opera on the Mall" "We Shall Not Be Moved"